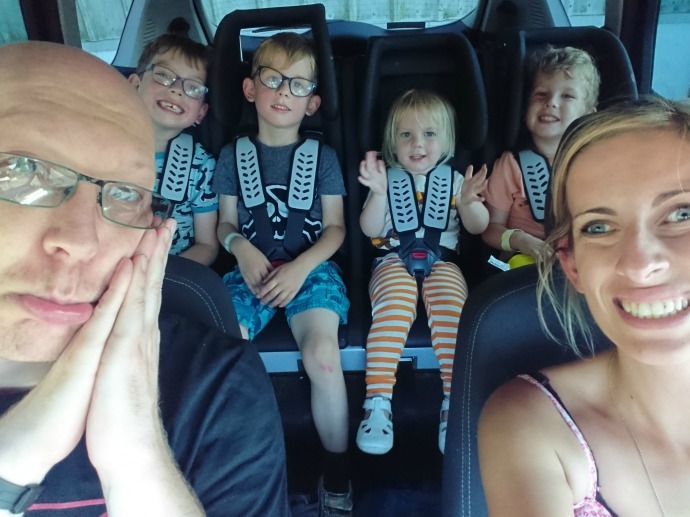 I had left it until the last minute to take the photos for this anyway - 6pm on the 31st July and I thought as we left the soft play centre where we had spent the afternoon we could balance my phone on the buggy and take a quick snap of us all. Apparently a nasty wasp had another idea and poor Cora got stung on her finger. 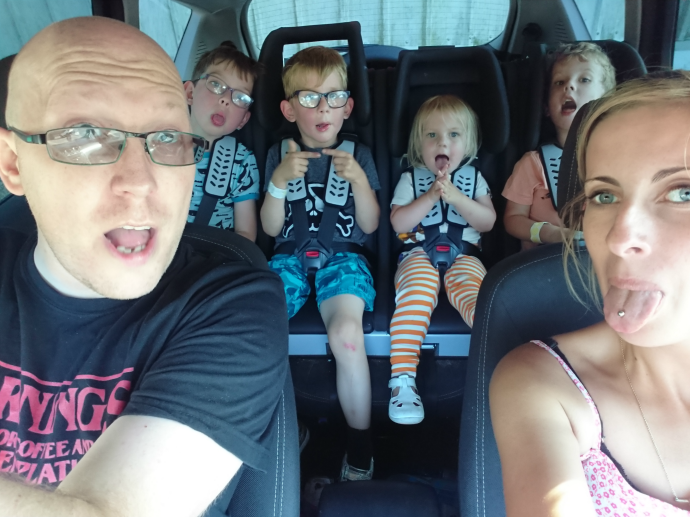 There were so many wasps around that we rushed back into the car and not knowing whether all four children were going to make it home awake, we decided a family car selfie would have to do. I haven't yet missed a month since we started this journey and today was not going to change that. This month I have loved late nights at the beach, watching Dylan's leavers play, swimming in the English sea and turning off my alarm. Ed has loved his Dyson fan (not a fan of the heat), seeing Flight of the Concords, our niece's birthday and getting a shiny new phone. Dylan has loved his school sleepover, going sno tubing at his friend's birthday party, counting down until his birthday and having more time to chill out at home. 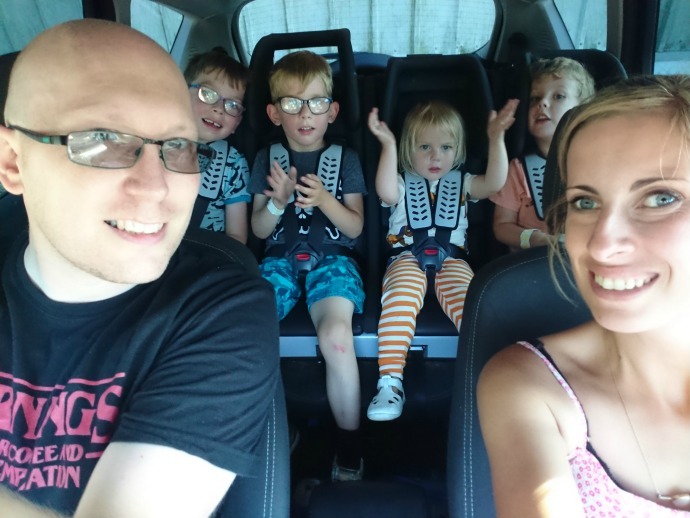 Archie has loved having his friends over to play in the holidays, seeing The Incredibles 2 at the cinema, a day out in London without the little two and playing computer games. Finn has loved water fights in the garden, discovering the wonders of surprise eggs being opened on YouTube, wearing his snowman top at any opportunity and having his big brothers around to play with more. Cora has loved calling everyone a Poo poo bum, singing sleeping bunnies and the Happy Birthday song, jumping on the trampoline and getting ice lollies every day in the heat!